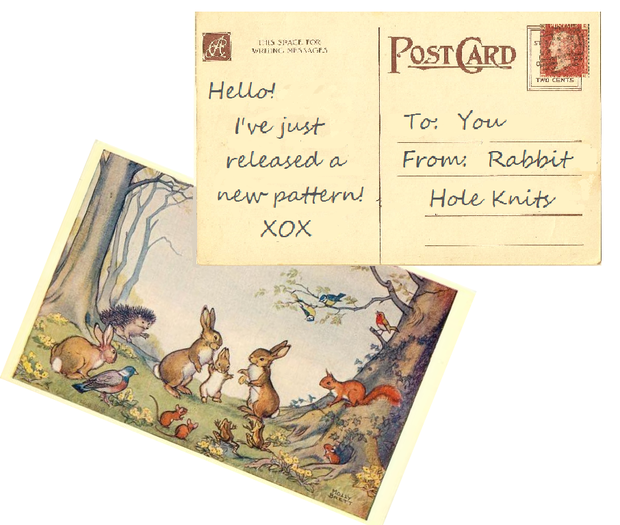 Welcome to Rabbit Hole Knits! treasured and tender memories from a happy life. Check back often; there are a lot more to come! Most are designed to be knitted on double pointed needles. If you’re more comfortable using circulars or the magic loop method, that works too - I've just never done it personally. My methods of construction are different than other toy designers. I hope you won’t be put off by this, rather that you will see it as an opportunity to learn something new. Would you like to know when I release a new pattern or have a bit of RHK news to share? Just click on the postcard below and subscribe to email notifications.